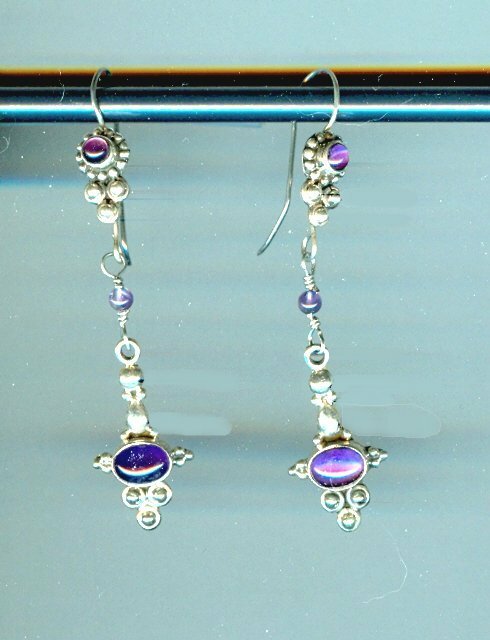 The sterling silver settings are all handworked by craftsmen born to the trade. 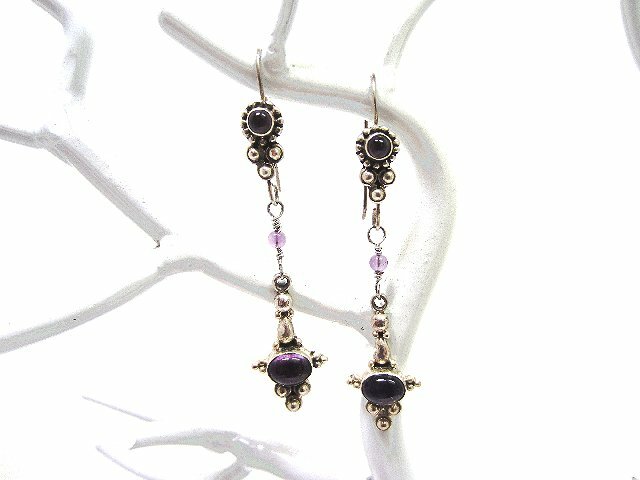 Both the French wires and the dangles are set with glowing amethyst cabochons. 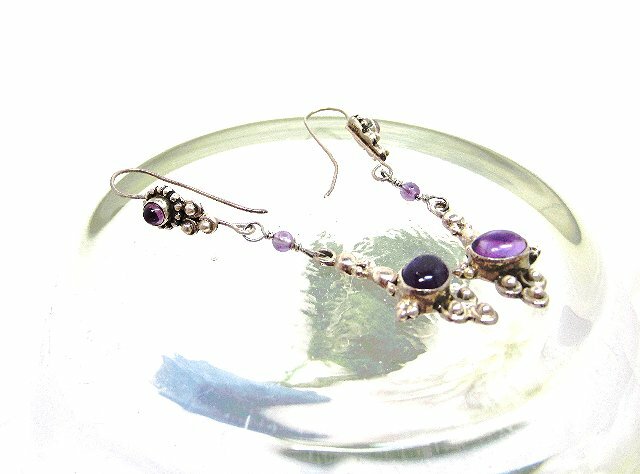 The two elements are joined by 3mm round amethyst beads. Each earring dangles 2-1/2" from the top of its earring finding to the bottom of its dangle. 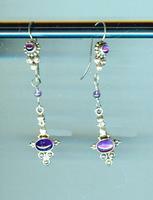 They're another pair of luxurious earrings from SPARKLE PLENTY. Sterling silver settings are handworked by craftsmen born to the trade.